All THUNDER MOUNTAIN LOT 1-49 homes currently listed for sale in Mesa as of 04/19/2019 are shown below. You can change the search criteria at any time by pressing the 'Change Search' button below. 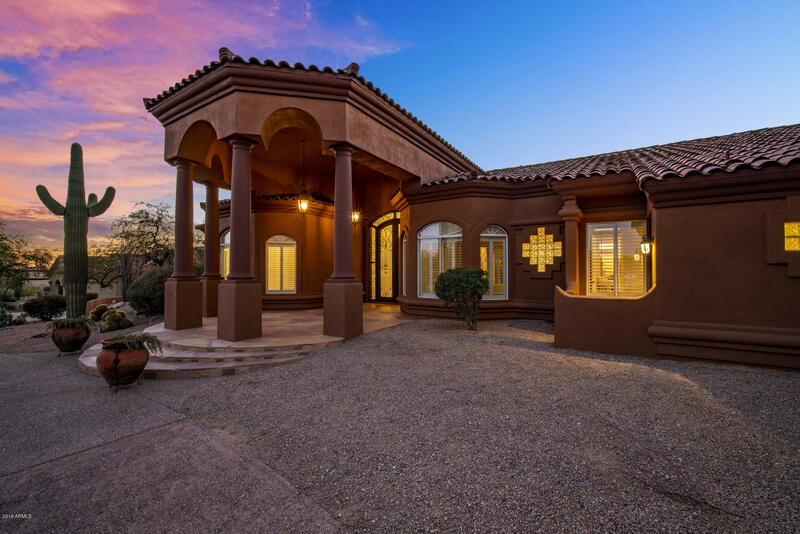 "4 bedroom 4.5 bath custom home in northeast Mesa. Gorgeous home perfect for an entertainer. Incredible detail throughout, 12FT iron and glass entry doors, exquisite foyer with lighted art niches. Open floor-plan is very welcoming. Luxurious master suite with a sitting area, fireplace, travertine snail shower & a custom walk in closet. A wet bar across from the nook with a 600 bottle temperature controlled wine closet next to the family room and dining room. Large gourmet kitchen with an isl"